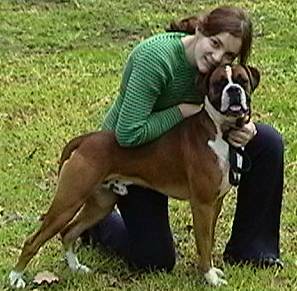 Alcance Boxers is a small robust kennel located in the northern suburbs of Melbourne, Victoria. 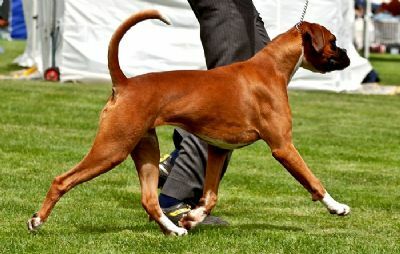 We are involved in breeding, Showing and Training happy, healthy Boxers. Our goal is to breed top class boxers and stand behind them. Jill has a 4 year Bachelor of Science degree in Animal Sciences and is excited to be able to apply this knowledge in the creation of healthy boxers. 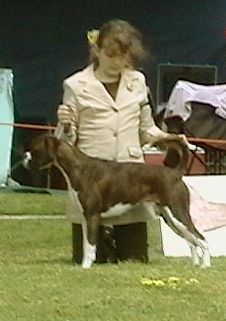 Between February 2011 and October 2012, Jill was on the committee of the Boxer Association of Victoria. Frank has a keen interest in training and socialising the pups and dogs, and ensures we all keep a sense of humour! 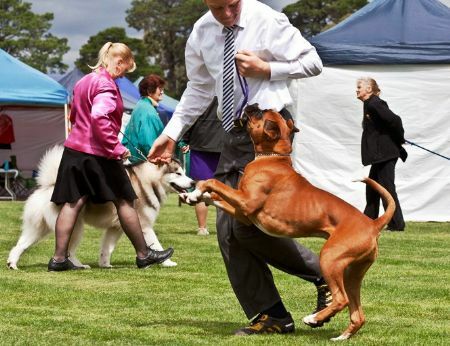 Frank has also been on the Committee for the Boxer Association of Victoria. Emilia & Zac are the keys to our showing success - they exercise and handle our show team. 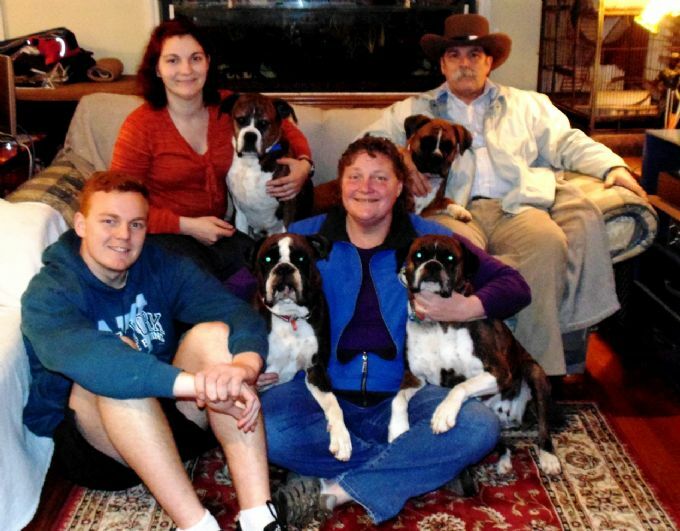 The 4 Berras - Frank, Jill, Emilia and Zac - breed and show these wonderful canine companions. 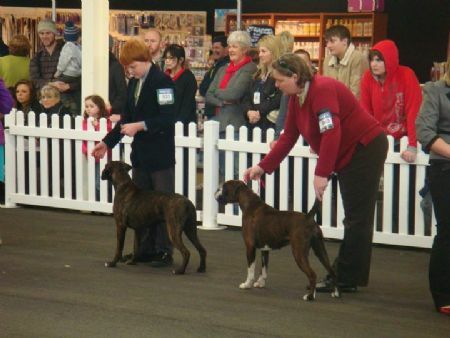 To learn more about the wonder of Boxers, learn what it takes to share your life with one of these fabulous animals or to just arrange a visit to get your quota of boxer fun, give us a call, or see us at a dog Show. We'd be pleased to meet you and so would our Boxers. 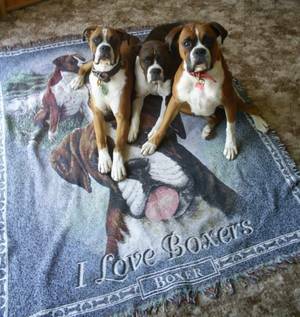 (Well - They certainly love that blanket!). 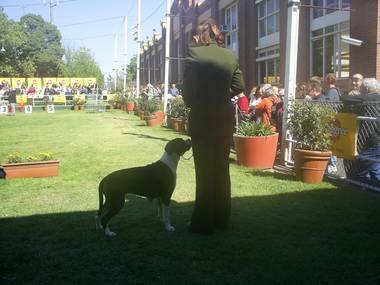 For the love of the breed, Always.